10. Portal Sites: SA Weddings, Conferencing, Game Lodges, Restaurants, Hotels SA, Seaside Breakaways, Activities SA etc. CLICK HERE to send us an email for more information. 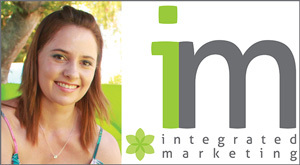 • Integrated Marketing is host to over 200 marketing websites across the world. • You are getting a lot of exposure for very little! • We have a broad range of town information and things to do, accommodation and dining options in each area, making it an highly informative site. If you would like to upgrade your Free listing to a Paid listing, you can contact us as per the information above, or you can visit our payments page to pay directly.